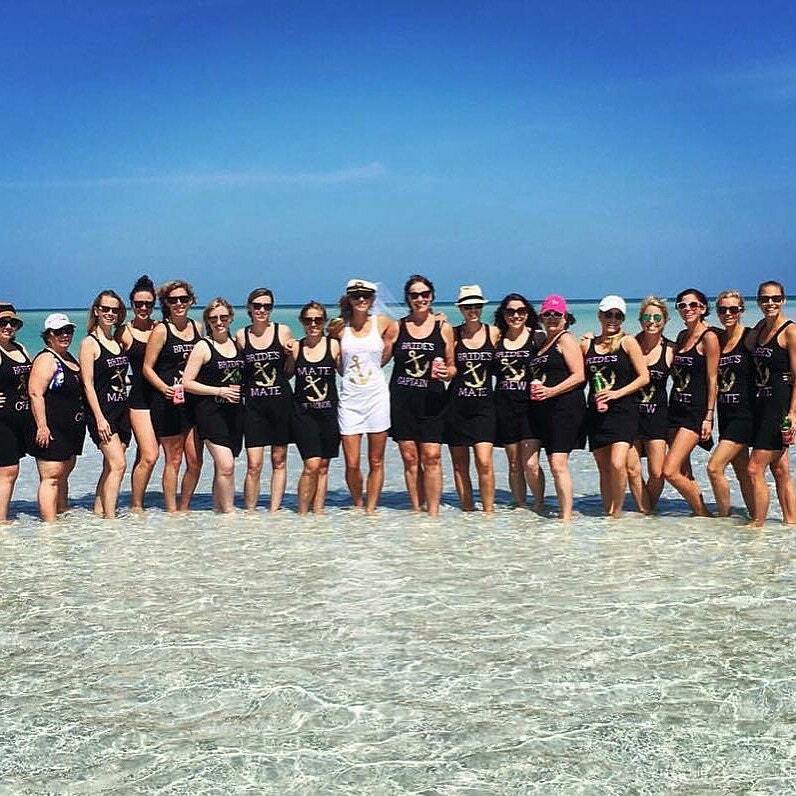 Our tank dresses are the perfect bridesmaid gift idea for your bachelorette party or getting ready on the big day! 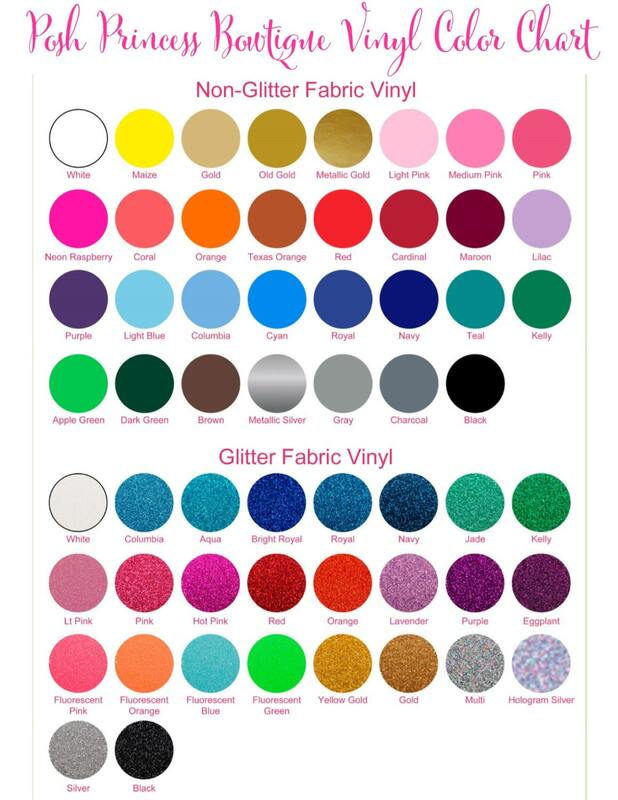 We have 4 coverup colors to choose from, and a huge selection of lettering options including: glitter, matte, and metallic finishes. We also offer a group discount when purchasing 5 or more, with coupon code WEDDING used at checkout! You choose the color for your anchor and for the wording. 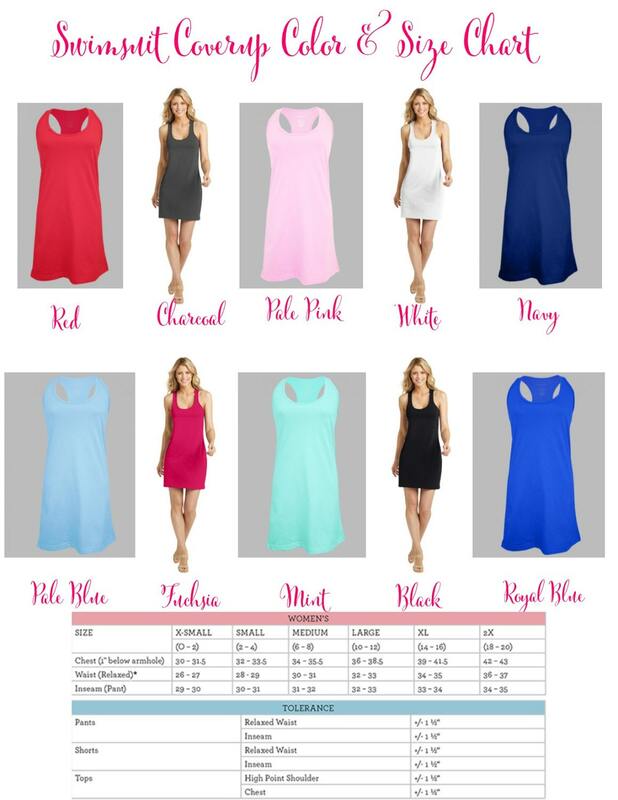 Please see our color charts prior to ordering for all available options - we have tons to choose from! This will also be the place to leave your color specifications for your anchor and wording. Posh Boutique Inc. Original Design, all rights reserved. 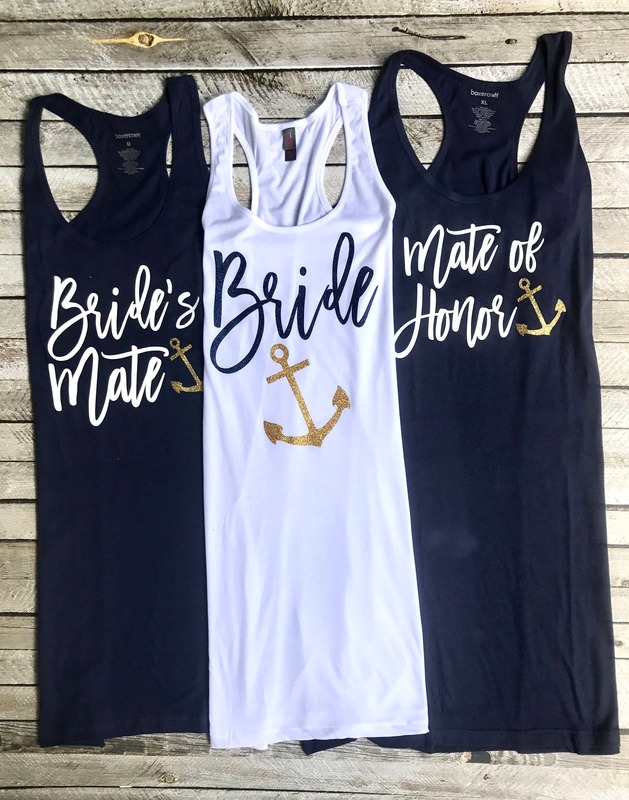 Prior to ordering, I confirmed with Sheila that the shop was able to make tank tops and tank dresses. I placed the order and made sure to specify in detail how many tanks vs tank dresses. When we received the order, they were all tank dresses. 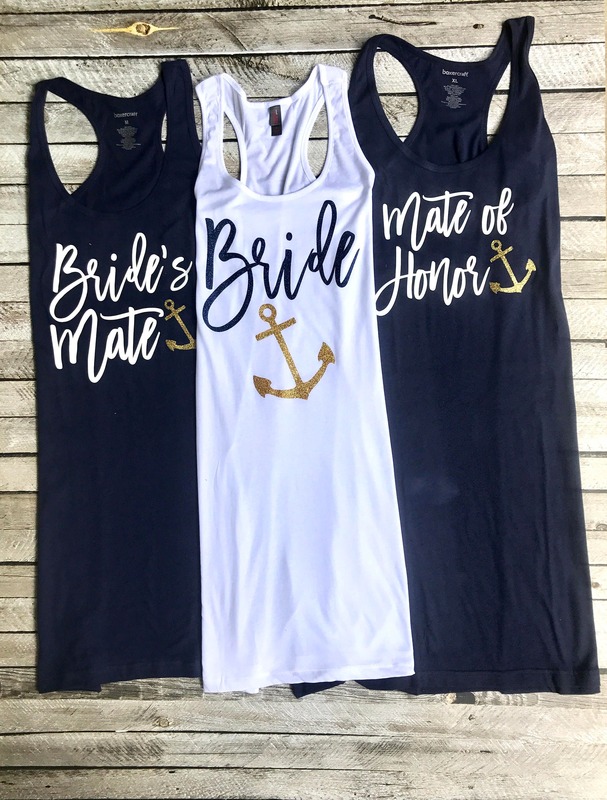 I notified Sheila and she stated that they would make us the tank tops and we would get them before my sister's bachelorette party. The tank tops were supposedly made and shipped to us, but I never received a tracking number and when I asked Sheila to contact the store where she shipped them, she stated that the shop no longer had that info. We still have not received them. Thankfully we at least had the tank dresses to wear. Sheila did refund us for the tank tops but I'm still very disappointed because they were really cute and good quality. Maybe we will receive them one day? !